How many of you have appointments that start at 11:07 in the morning or 4:46 in the evening? Probably none of you. 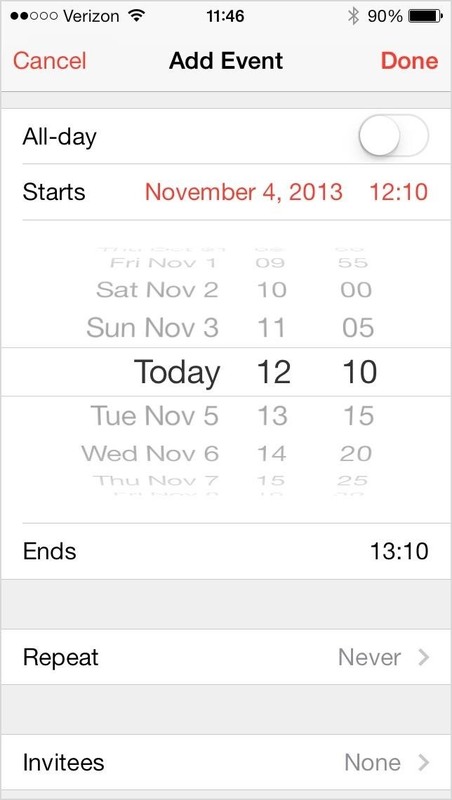 We create leeway in our schedules by rounding up and down, not to mention it's just easier to remember times that way, so why is it that the Calendar app in iOS 7 automatically chooses 1 minute increments when adding new events? There is a quick fix to change it from 1 minute increments to 5 minute increments in iOS 7 on your iPhone, iPad, or iPod touch, and it's as easy as double-tapping on the time dial. 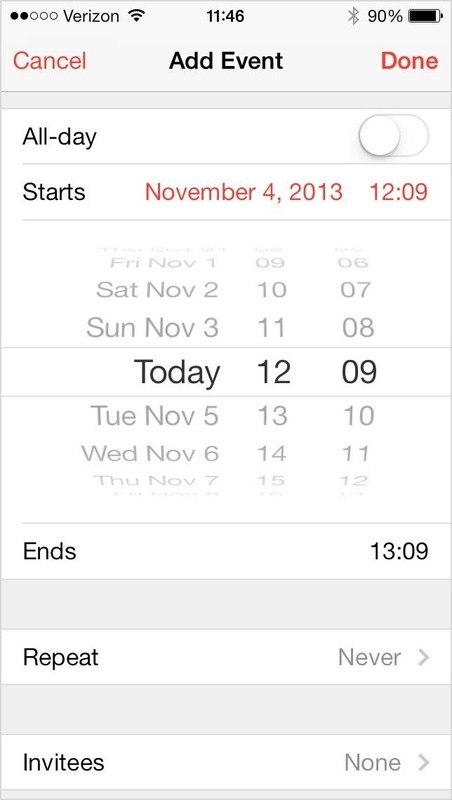 Add an event or edit an existing one, and when adjusting the "Start" and "End" times, simply double-tap on any of the dates or times in the scroll wheel to change it from 1 minute to 5 minute increments. Unfortunately, you have to do this each time you create or edit an event (there is no way to set is as the default), and this tip does not work for the Alarm or Timer in the Clock app, nor when you're changing the date/time manually in your Settings. There's a lot to learn about the new iOS 7 for iPad, iPhone, and iPod touch, so make sure to visit our iOS 7 tips section to explore all of the new features and hidden tricks.